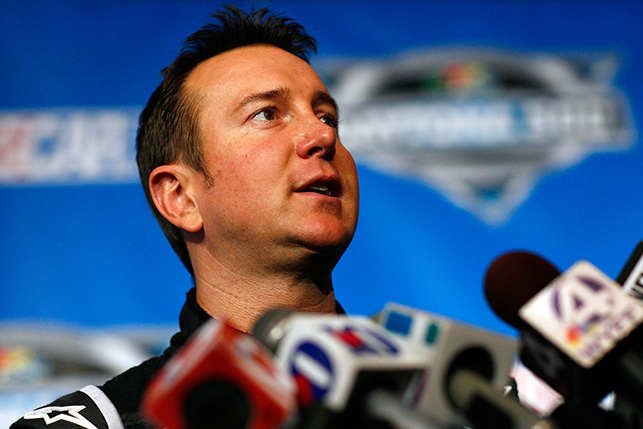 Three races into the season and NASCAR lifted the suspension for Kurt Busch after an alleged domestic violence incident. NASCAR has granted him a waiver to remain eligible for the Chase for the Sprint Cup. Stewart-Haas Racing executive vice president Joe Custer issued a statement welcoming the 2004 champion back to the team. Busch will return to the No. 41 car this weekend at Phoenix International Raceway. Kurt Busch now will undergo additional steps to address the behavior for which he was penalized. Busch, who will remain on NASCAR probation, should be able to get into the top 30 even though he currently has no points. Busch will continue with a treatment program, O’Donnell said. “We have made it very clear to Kurt Busch our expectations for him moving forward, which includes participation in a treatment program and full compliance with all judicial requirements as a result of his off-track behavior,” O’Donnell said.